With a wide-angle footprint and Perfect Spectrum, the X40 and X80 are the most versatile LED bars lights on the market. The high-powered X-Series COB (Chip On Board) bar light is the perfect fixture for high bay, greenhouse, and indoor applications. 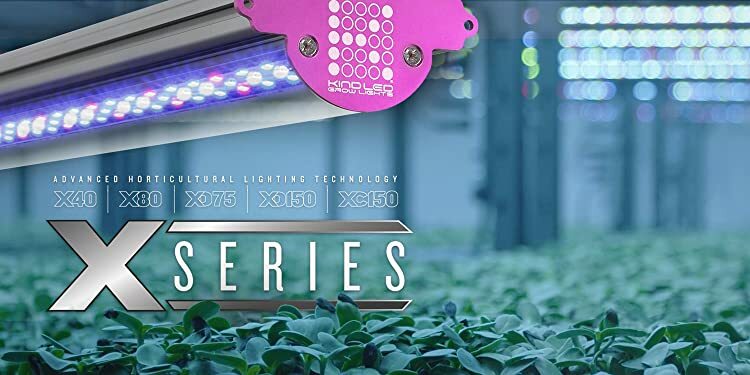 These game-changing fixtures set a new standard in grow lighting, maximizing under canopy growth, yield, and quality.